We had a great response to our call for papers, thank you! However great we believe having the conference in Austin, TX will be, moving to a new area of the US is still a leap of faith until we see the numbers. So we’re thankful that so many of you continue to support and take part in our Open Source Database Conference. We have great plans for the event going forward, and look forward to sharing them with you. In fact, one new initiative is already underway. Instead of having one relatively small committee that reviews all of the papers for all tracks, we are taking a different approach this year. Each track is led by a Percona engineer or manager in the role of “Track Champion”, and they each are establishing a Track Steering Committee to review the submissions for that one track. There are many benefits to this approach. First of all, it means that folk with in-depth knowledge of a technology review a smaller number of papers, and can focus on that subject. It also means that the committee members can enter more meaningful dialogue with the Track Champion about the ‘shape’ of the track at the conference, to make sure that the content is of high quality and offers innovative insights… or, at least, that it addresses the issues that are most important to users of the technology. You may know, too, that at Percona we are committed to being unbiased champions of open source database solutions. By widening the team that influences the nature of the conference, we believe we are better supporting this mission. So who’s on the committee? You can read all about them on the conference website. Thank you, again, to all that have volunteered time and experience to this effort. So now you know about the changes to the committee structure. You’ve read about the people who are going to read your abstracts. And you’ve realized that the conference is going to be in an exciting new city that you’ve not visited before. Well, we have some great news…we’re going to give you one more week. Yes, that’s right, the deadline is extended to Sunday, January 27. 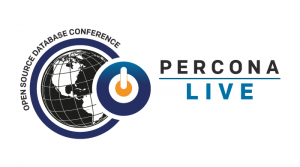 Don’t miss out again, this is the last chance for your submission to be guaranteed consideration for the Percona Live Open Source Database Conference 2019. It’s going to be a great event! And if you’ve still no plans to submit, but are keen to attend? Mark May 28-30, 2019 in your diary and subscribe to this blog to be amongst the first to hear when ticket sales are launched. Don’t forget, the earlier you get your tickets, the more $’s you save. Document folder is very important for all windows computer users,here you can found https://clipboardwindows10.com/ your all important downloaded files.